The all important 5 W’s… and a H. This traditional checklist will answer all of your questions when you are managing a digital signage network. You may already be using digital signage or you may be simply interested in it, but it’s always handy to know how to create the biggest impact and see the maximum return on investment. When it comes down to it, the main reason for investing in digital screens is usually to increase revenue. Take a look at your current marketing strategy – digital signage is designed to attract attention and convert interest into sales, complementing the tactics you already have in place. Take a look at how to include digital signage in your marketing strategy here. It’s important to know who your target customers are, what they are looking for and how to capture their attention. If your customers are commuters and have a short dwell time, it wouldn’t be worthwhile using lengthy content with great detail but instead short messages with attractive images. For customers who do have the time to watch your content, you can use things that will add to their whole experience and make it memorable. Know your customer and their behaviour before considering digital signage if you want to get the best from it. Think about your target audience/s and when they will see your screens. Do they visit every day? In the morning or after 5pm? Keep your customer data accurate and you can change your content depending on the time of day or day of the week. This is one advantage of digital signage over static signs, as you are able to change your content in real-time and whenever is best for you. 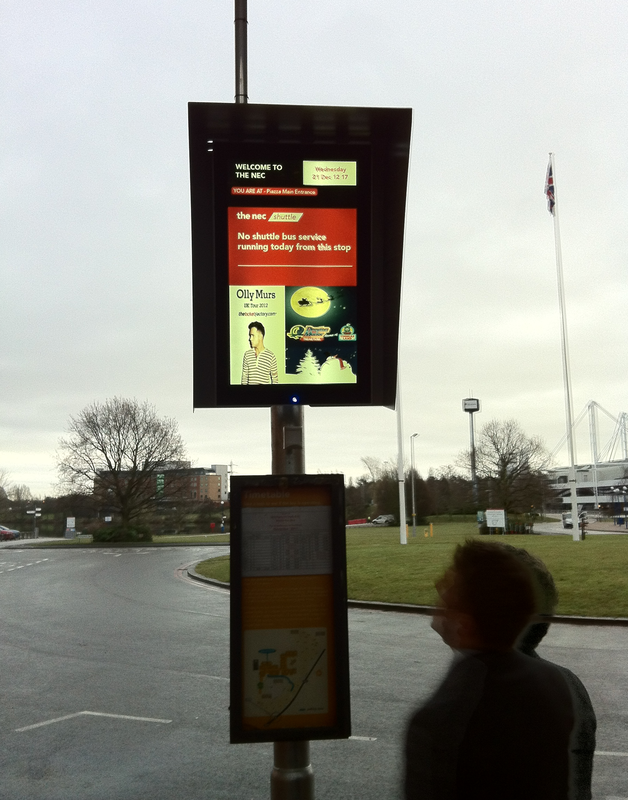 Check out our digitalsignage.NET features for more information. Once you have gathered all your customer data and feel comfortable with their behaviour patterns, the next task is to design your digital signage campaign. The whole project is managed by you so it’s completely up to you how to do it. You may choose to include weather widgets and travel information alongside your promotional material, or you may wish to display a menu and sales. The list is endless, but always remember that the focus is on the customer and what they want to see. Using social media and calls-to-action make a person feel involved with your business and will surely create a lasting impact. See more information here. Placing your digital screens in the right place is essential. How can you get the maximum impact from your investment if the right people aren’t seeing it? If your business is a shop, a common place to fix the digital signage is near the checkout point where people who are queuing can see. Did you know 1 in 5 people who have seen an advertisement via digital signage have made an unplanned purchase? Take a look at our infographic. Where you place your screens should be determined by your own goals, but also by how visible they are and if they are on the right eye-level. Take a look at different digital signage software and see what you think will work best for you. From cloud-based applications to on-premise, there is a whole host of differences and different things to choose from. Different types of solutions also come with different prices, some up-front and some monthly instalments. We offer a cloud-based solution, digitalsignage.NET. If you have any questions about a digital signage solution, please do not hesitate to contact us. This entry was posted in Digital Signage, Tips and advice and tagged digital signage, digital signage advertising, digital signage for education, digital signage for hospitality, digital signage in cinemas, digital signage software, retail digital signage by Dynamax. Bookmark the permalink.